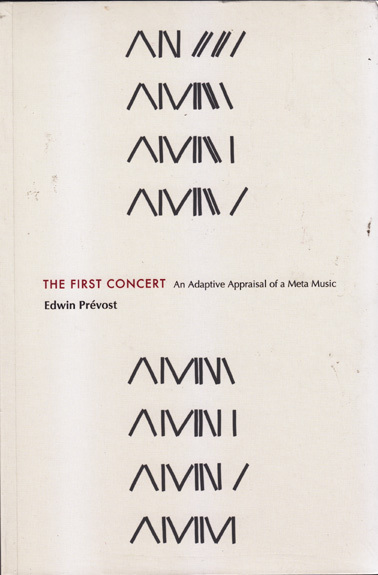 In this new book Eddie tries to approach the source of music-making, improvisation and collective creativity through the application of processes and metaphors native to evolutionary theory. In other words it is an attempt to construct a somewhat objective analysis of what is generally treated as a subjective practice. That is not to say that the subjective is suppressed, Eddie aims rather for context, if I understand him correctly. Behind this approach remains the deeper question of free will, which is untested here. That said, Eddie is a highly articulate thinking musician, who has all his life struggled to understand what music is and does, and how it might evolve and take a more democratic, liberatory form. Such books are usually written by academics, so the point of view of a practitioner is especially interesting, informed as it is by different experiences and imperatives.